FALLS CHURCH, Va. – Sept. 26, 2017 -- Northrop Grumman Corporation (NYSE: NOC) announced today that two of its elected officers have stated their intent to retire at the end of this year. Gloria A. Flach, chief operating officer, and Sid Ashworth, corporate vice president, Government Relations have announced their decisions to retire from the company, effective Dec. 31, 2017. 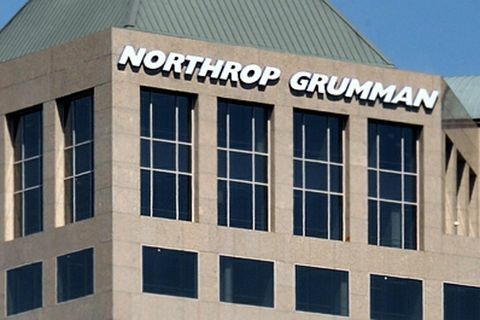 The Northrop Grumman Board of Directors has elected Kathy J. Warden president and chief operating officer, effective Jan. 1, 2018. Warden currently is corporate vice president and president, Mission Systems. In her new role, Warden will oversee the company’s three operating sectors as well as the integration of the Orbital ATK business upon closing of that transaction. Warden and all sector presidents will continue to be members of the company’s Corporate Policy Council. The board of directors also elected Mark A. Caylor corporate vice president and president, Mission Systems; Shawn N. Purvis corporate vice president and president, Enterprise Services; and Lesley A. Kalan corporate vice president, Government Relations. Caylor, Purvis and Kalan will assume their new roles on Jan. 1, 2018. They will also serve as members of the Corporate Policy Council. Gloria Flach has had a distinguished 36-year career with Northrop Grumman, providing engineering expertise and executive leadership across our company. She is the first female chief operating officer in the company’s history and previously served as president of Northrop Grumman’s Electronic Systems sector, a world-leader in defense electronic systems. Her innovative leadership has contributed greatly to the company’s success. Sid Ashworth joined Northrop Grumman’s leadership team as it established its headquarters in Washington, D.C., transforming the company’s government relations approach and providing effective guidance, coordination and support for all company relationships with the U.S. government. Her successful career at Northrop Grumman caps off more than 25 years of prior experience in the legislative and executive government branches, including 14 years as a professional staff member with the U.S. Senate Committee on Appropriations. As corporate vice president and president of Northrop Grumman’s Mission Systems sector, Kathy Warden oversees large-scale, mission-critical systems and complex hardware and software products within the U.S. and internationally in areas such as command, control, computing, communications, intelligence, surveillance and reconnaissance (C4ISR) and cybersecurity. Previously, Warden was corporate vice president and president of the former Information Systems sector. Prior to joining Northrop Grumman in 2008, Warden held leadership roles at General Dynamics, Veridian and General Electric. She earned a bachelor’s degree from James Madison University and a master’s degree in business administration from George Washington University. Mark Caylor leads the company’s Enterprise Shared Services organization and the Corporate Strategy and Mergers and Acquisitions functions. He has served as corporate vice president and president, Enterprise Shared Services and as corporate vice president and treasurer. Caylor earned a bachelor’s degree in aeronautical and astronautical engineering from the Massachusetts Institute of Technology, a master’s degree in aeronautics and astronautics from the California Institute of Technology, and a master’s degree in business administration from UCLA’s Anderson School of Management. Shawn Purvis, as vice president and chief information officer, leads and executes all aspects of Northrop Grumman’s internal IT strategy and related responsibilities. Prior to her current position she served as sector vice president and general manager for Northrop Grumman’s former Cyber division. Purvis joined Northrop Grumman in 2012 serving as vice president of the Integrated Intelligence Systems (IIS) business unit. Prior to joining Northrop Grumman, she held positions of increasing scope and responsibility with SAIC. Purvis earned a bachelor’s degree in computer science from Hampton University and a master’s degree in information systems from George Mason University. Lesley Kalan leads the corporate Legislative Affairs organization, responsible for implementing and overseeing all Northrop Grumman strategic and tactical interactions with the U.S. Congress and related organizations. Prior to joining Northrop Grumman, Kalan was vice president with the Cohen Group and served as professional staff of the U.S. Senate, Committee on Appropriations, Defense Subcommittee, and in the Office of the Secretary of Defense. She earned a master's degree in public administration and policy from the Askew School of Public Administration and Policy, Florida State University and a bachelor's degree in political science from the University of South Florida.